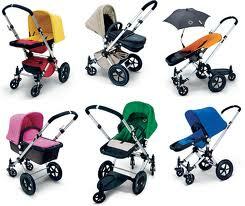 The Bugaboo Cameleon³ is the next generation of the iconic and fabulous Cameleon pushchair. 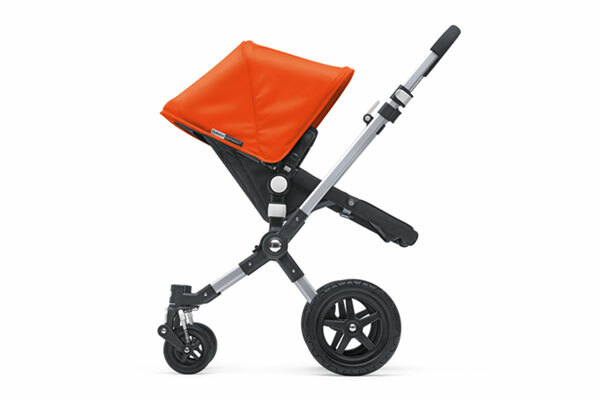 The Bugaboo Cameleon³ features everything from the previous Cameleon's but has been improved to give better functionality, ease of use and aesthetics. 90% of the Cameleon has been redesigned for the Cameleon³. 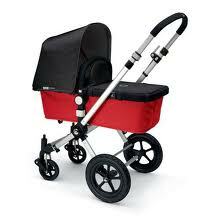 The Bugaboo Cameleon³ includes the pushchair, chassis, carrycot and raincovers. 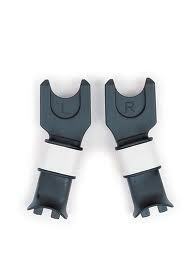 Car seat adaptors can be added to form a travel system. 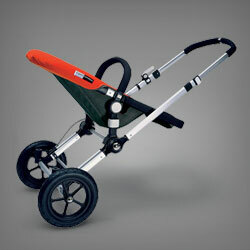 But all round the Bugaboo Cameleon³ should be one of the best pushchairs on the market. 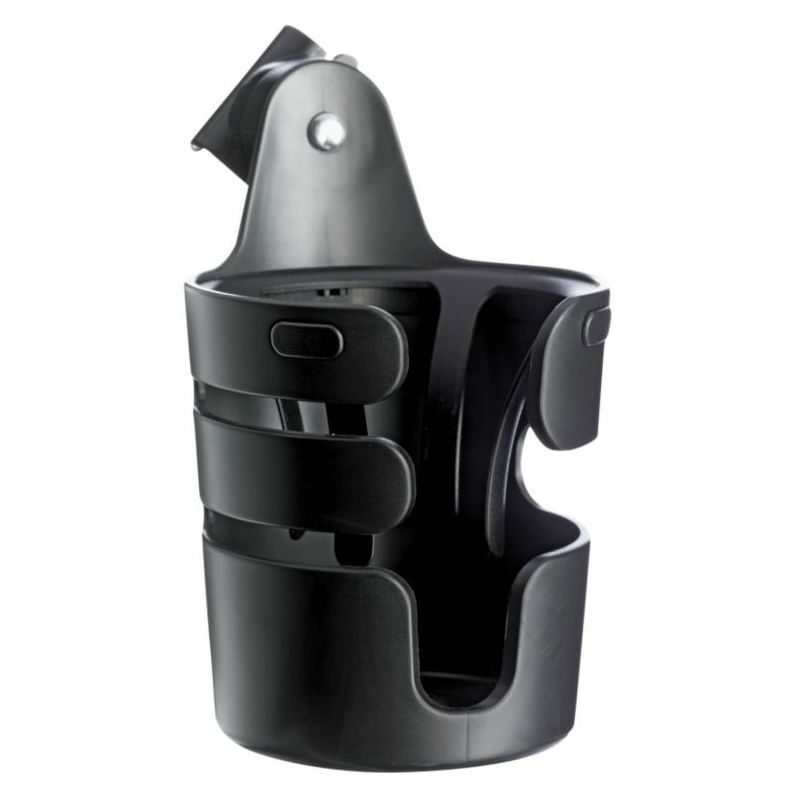 Light and easy to use - the unfolding can now be done one handed and is much easier. The chassis will lock automatically. The carrycot will be easier to fold. 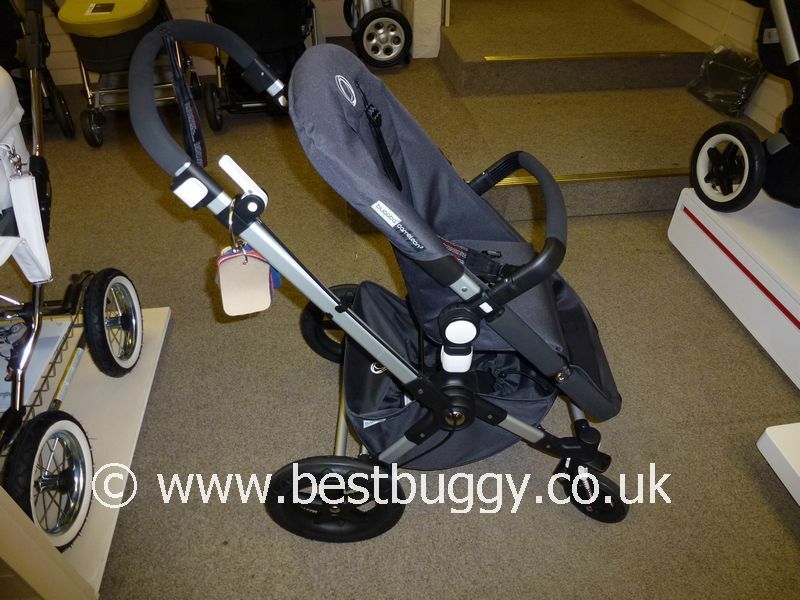 Better harnesses, better braking system, hinged carrying handle / bumper bar and quick release wheels are all improvements to this easy to use pushchair. 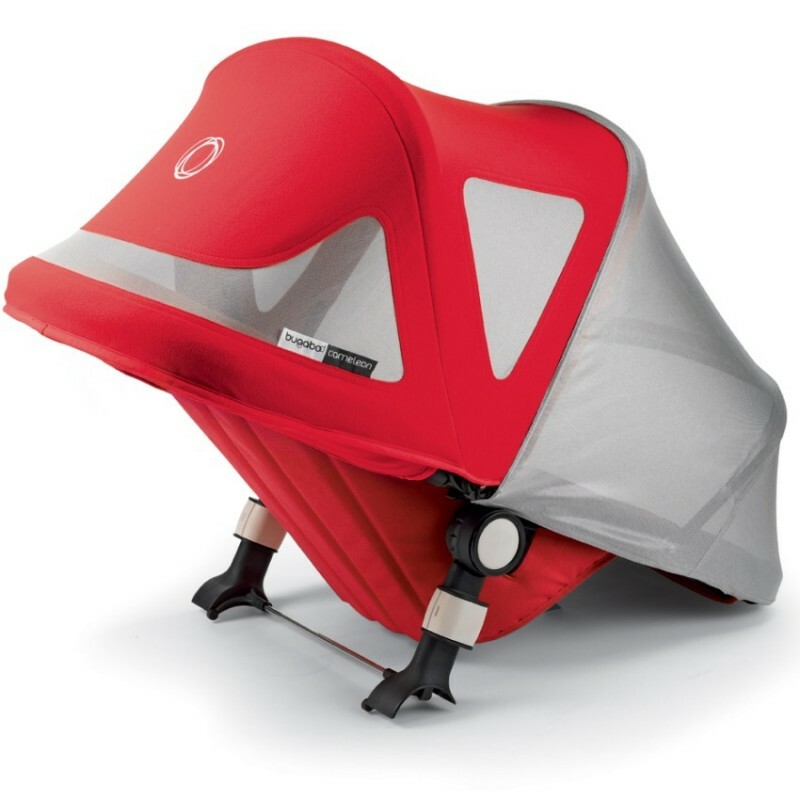 The Cameleon comes with carrycot fabric and hood. The choice of colours now includes black as a base colour. 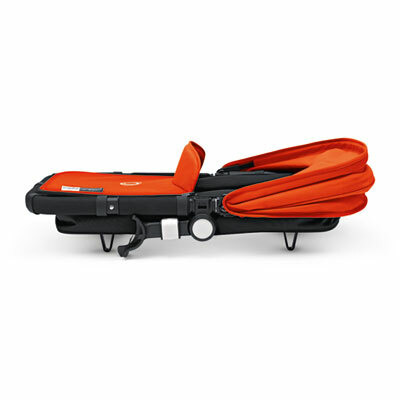 The Cameleon 3 can take a car seat. 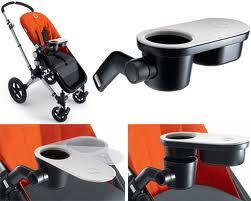 It has a flip handle so that the pushchair can be pushed easily over rough terrain. There is a 2 wheel mode too for pulling eg across the beach. The basket will be bigger. Flat when folded. 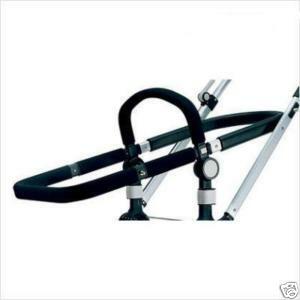 Highly manoeuverable and easy to push. Easy to customise with a fresh look. 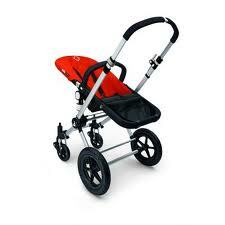 All round a fab pushchair. Price - expensive and the options for customising are tempting! Two small lockable swivel front wheels. Two large foam-filled 12" rear wheels. All terrain front wheels are available to buy as an option. The wheels pop off easily. Black, Sand, Dark Brown and Black bases available. 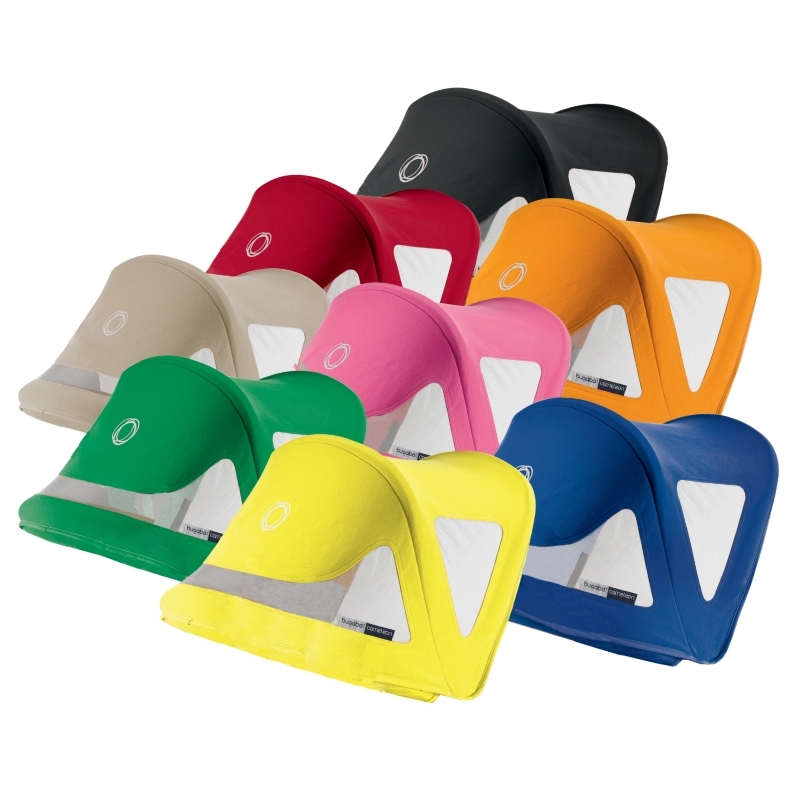 Black, Orange, Petrol Blue, Pink, Royal Blue, Red, Sand, Off White plus limited edition colours as available. 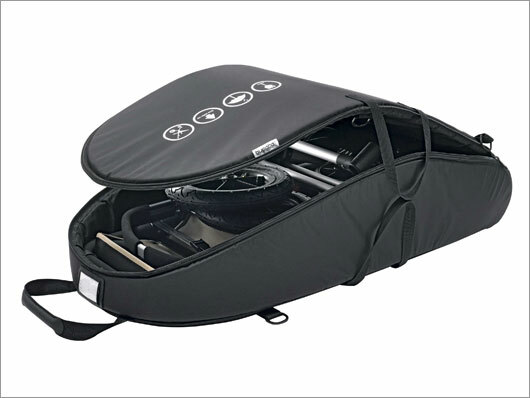 The Cameleon comes with a frame onto which you fix either the carrycot or the pushchair fabric. The Cameleon is a 2 piece fold. 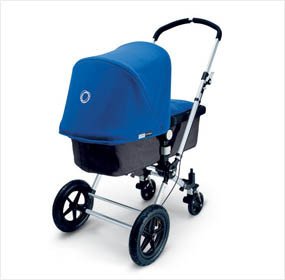 The Cameleon can have the hood and carrycot top changed to a different colour by buying a tailored fabric pack. In summer Breezy canopies and a sun shield are options. 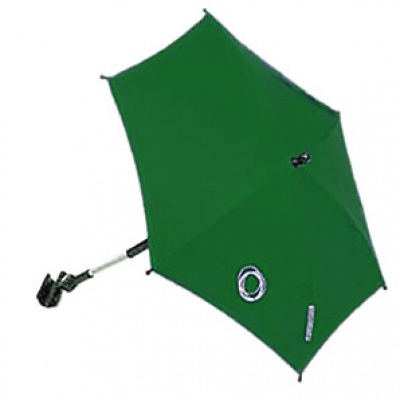 There are lots of accessories including changing bag, cup holder, parasol, footmuffs etc. 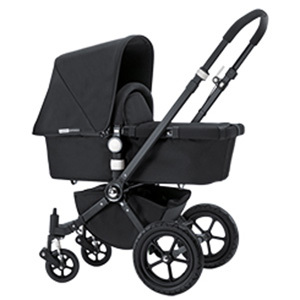 The Bugaboo Cameleon is a luxurious pushchair with a superb finish and quality tailored fabrics. 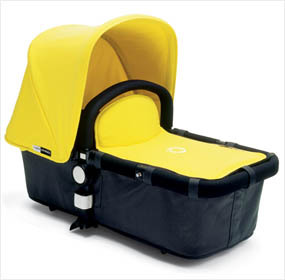 The Cameleon is a travel system with carrycot, seat and car seat options. There are numerous fabric colour options to give your Cameleon a personal feel. 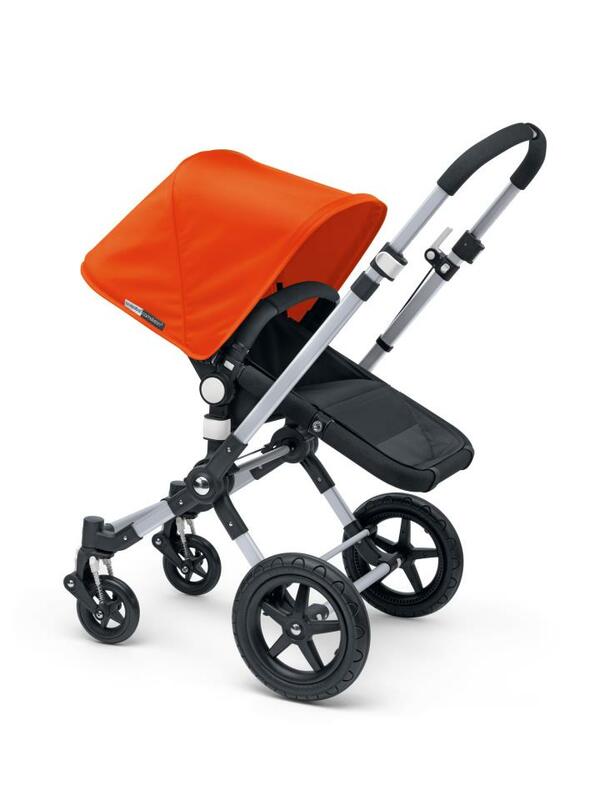 The Cameleon is an all terrain pushchair that looks great in the city too. 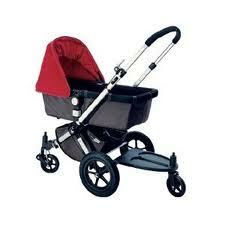 All round this is a top of the range pushchair for a baby or toddler and is difficult to fault. 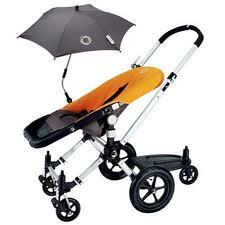 Extremely versatile - lots of options, colours and accessories. 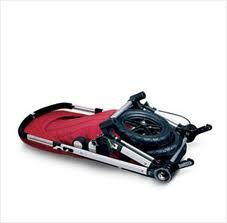 Car seat compatible. 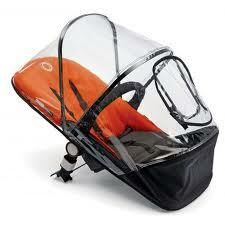 The carrycot fabric and pushchair fabrics are included and fit onto the frame as required. 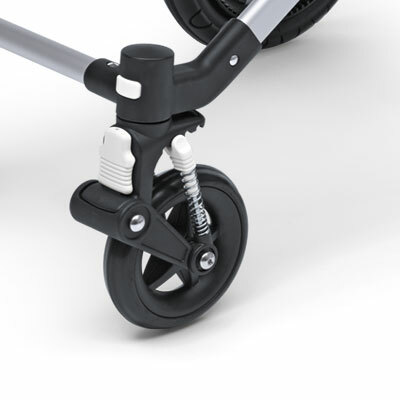 Two off road options as the handle can either flip over to give reverse steering with the larger wheels at the front, or can be clicked into two wheel mode and pulled across a beach or snow.. Flat when folded. Good quality. 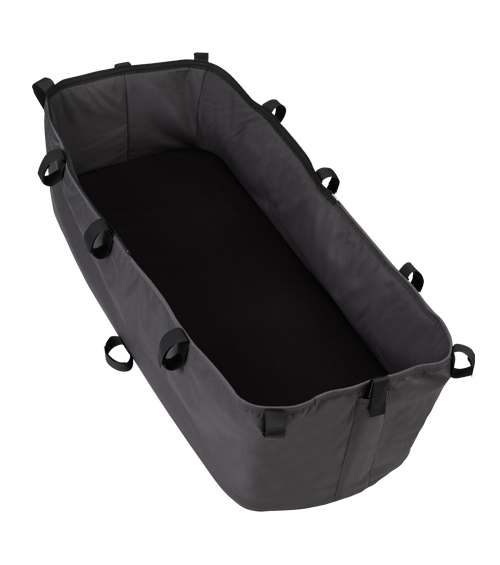 Large storage basket. All terrain front wheels are an option. 2 year warranty. The seat can be lifted off and used as a seat on the ground - great for picnics, or the handle can be folded down to be tucked under a table at a restaurant! Machine washable fabrics. Easy to push. Highly manoeuverable. 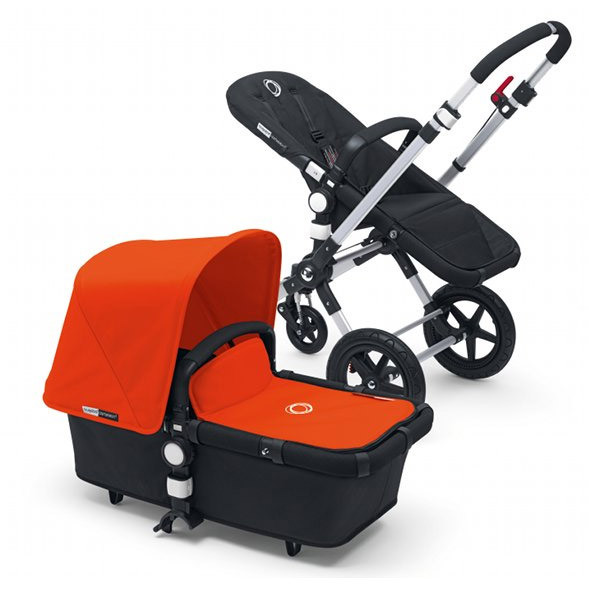 Bugaboo Cameleon & Quinny Yezz – The Perfect Holiday Combination! 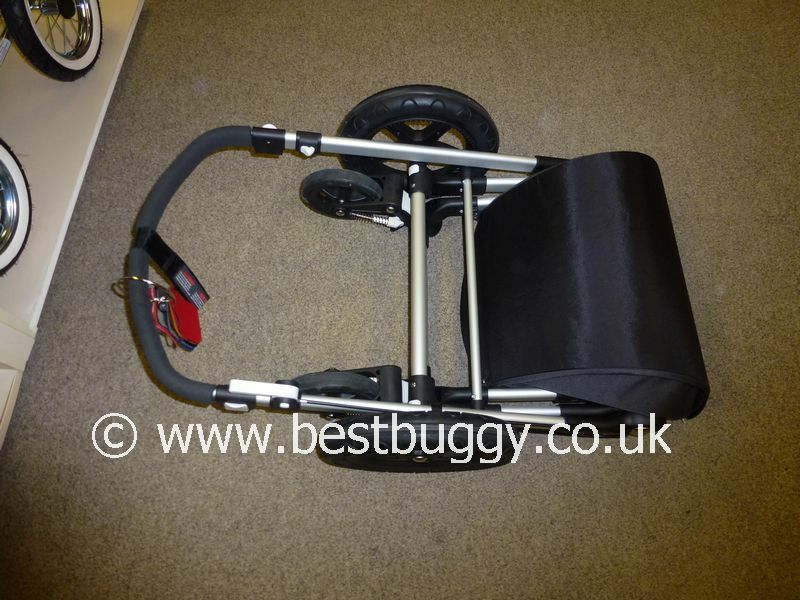 Bugaboo Runner – A Jogger Extension for your Bugaboo! 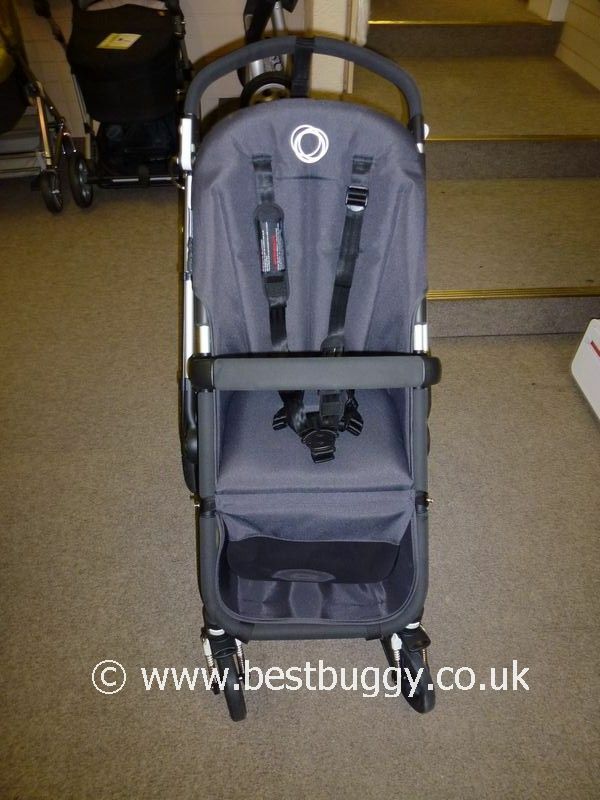 Bugaboo & Zakee Shariff One Off for Ebay Auction!